Ant & A Wealthy Man………. One Sunday morning, a wealthy man sat in his balcony enjoying sunshine and his coffee, when a little ant caught his eye which was going from one side to the other side of the balcony carrying a big leaf several times more than its size. The man watched it for more than an hour. He saw that the ant faced many impediments during its journey, paused, took a diversion and then continued towards its so called destination. At one point the tiny creature came across a crack in the floor. It paused for a little while, analysed and then laid the huge leaf over the crack, walked over the leaf, picked the leaf on the other side then continued its journey. The man was captivated by the cleverness of the ant, one of God’s tiniest creatures. The incident left the man in awe and forced him to contemplate over the miracle of Creation. It showed the greatness of the Creator. In front of his eyes there was this tiny creature of God, lacking in size yet equipped with a brain to analyse, reason, explore and overcome. Along with all the capabilities, the man also noticed that this tiny creature shared some human shortcomings. The man saw about an hour later the creature had reached its destination, a tiny hole in the floor which was an entrance to its underground dwelling. And it was at this point that the ant’s shortcomings that it shared with the man was revealed. How could the ant carry into the tiny hole the large leaf that it had managed to carefully bring to the destination? It simply could not. So the tiny creature, after all the painstaking and hard work and exercising great skills, overcoming all the difficulties along the way, just left behind the large leaf and went home empty-handed. The ant had not one second thought about the end before it began its challenging journey and in the end the large leaf was nothing more than a burden to it. The creature had no option, but to leave it behind to reach its destination. The man learned a great lesson that day. Isn’t that the truth about our lives? We worry about our family, we worry about our job, how to earn more money, where we should live, must we have a 5 bedroom or 6-bedroom house, what kind of vehicle to buy, Mercedes or BMW or a Porsche, what kind of dresses to wear, all sorts of things, only to abandon all these things when we reach our final destination. We do not realize in our life’s journey that these are just burdens that we are carrying with utmost care and fear of losing them, only to find that at the end they are useless and we cannot take them with us. The happiest people do not have the best of everything they just make the best with everything they have. Stay Simple, Stay Loved and Stay Happy. 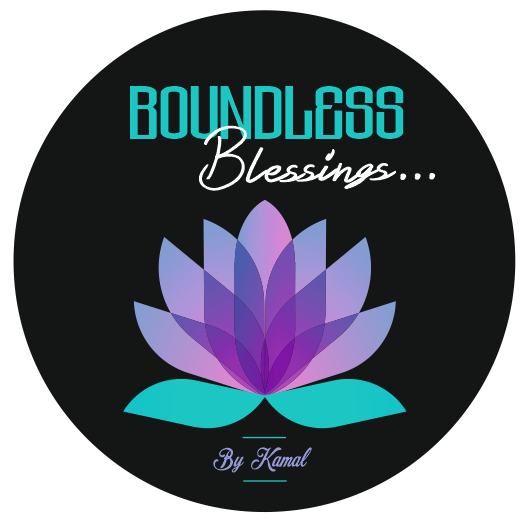 Profound life lesson Kamal. Except our soul, we leave everything behind. Yet we work hard towards getting that everything , but forget to work towards evolving and enriching our soul. Isn’t it an irony of life? Yes absolutely true Radhika and we all know that but only want to grab and grab all illusory things that have no value. This story was so apt that poor ant the whole day it toiled but was not sad it just left the leaf. Thanks Radhika for your profound thoughts. Beautiful story and an amazing lesson taught. Thank you so much Kamal for always guiding us to the right path. Thanks dear Tanvir for your kind words. These stories are so inspiring and encouraging to one and all see how a tiny ant could not do anything with a big leaf and went its way and look how we r never satisfied. So true.. everything in our surroundings teach us something or the other. So true. A change in perception can make a whole lot of difference. Yes absolutely true. Tanvir u r not writing anything. I love reading your insightful post too. I have 2 or 3 draft saved to be posted.It’s just we have shifted to new place so now going to publish them till I get the internet connection started at home. Writing and formatting it I am comfortable in laptop. Oh k that is the reason. All the very best for your new home Tanvir and yes can understand without internet and laptop becomes very difficult. Yes absolutely and agree totally with your words dear Brigid. Thanks so much. For sure same here dear Brad and this story really shows us how we humans need not worry about anything in life. Everything is given to us but our desire doesn’t end. Thanks so much for your superb words. Great lesson learnt through this, Kamal. Thank you for sharing. Welcome Sunith and this story had inspiring and profound meaning and how we must behave in life. Thanks for the beautiful comment. Thanks dear Krishnapriya for your kind words and this story had so much to learn from. How as humans we need to be thankful for every little things and not ask for more. The ant never made a noise at all when her leaf could not get in. Thank you Kamal, the story about the ant and its struggle is endearing. thing, we mean well but are short sighted. Bless the little ant though. Yes Miriam and I agree totally with your words. We as humans r not satisfied and our wants do not end. The ant though went through so much effort but finally could not do anything and left without worrying at all. This is what we have to learn from them. Thanks dear for your valuable feedback. You are right we worry about so many things. Yes we worry about our family but is that so bad when we worry about our parents or gandparents? Are they and their problems burden to us? How can a man attend moksha if he leaves a sick person alone? Of course what u r saying is true, Rupali and we have to take care of them and do whatever best from our side but here the story is of wants and desires and that we r never satisfied. The ant left the leaf when it realized it could not do anything and went away. That is what we need to be instead of worrying and fretting all the time. Thanks so much for your feedback. Absolutely wonderful life lesson, Kamal, and something I desperately need to remember. Thank you for sharing this extraordinary story! Blessings to you! Thanks dear Jonathan for your great comments. Yes we all need to be thankful and remember that we have been so fortunate as humans, God has given us everything but our wants r too much. The ant really taught that guy a great lesson. Yes so true Jonathan and look how painstakingly they work and toil the whole day but no fret or fuming like us. That is the difference between them and us. Thanks so much for your comments. Yes absolutely true and agree totally with your words Kate and this story proves how we need to live in this world. How much to grasp and finally depart with nothing. Thanks so much for your superb words. Wonderful story! Indeed materialistic life is not going to make us happy. Thanks dear Megala and yes I too agree totally with this story that is so profound in its whole essence. Profound story! The simple things is what makes me happy. Thank you for the share. I love these stories. Thanks for the beautiful comment and yes these stories are eye openers in themselves and though simple yet profound. Same here these stories are so inspiring. Yes absolutely true and agree totally with your words. The ant was so contented and we need to learn from them. Thanks for the beautiful comment, Diana. A wise post, put in two words: Live Simply! Thanks Zaza and yes Live simply and Enjoy life. That’s great to live in this wonderful way. Loved your dogs too. Yesterday my dog, Amber it was her birthday and my daughter did all the works with friends and cake for her. that is grand, what kind of cake? How is Zahan doing? Oh a beautiful cake especially made for dogs and we made her wear garland and she was so happy, Zaza. Zahan is fine and growing into a good formula baby. He has started recognizing us little by little and is a darling. nice, my Bella Lema is 8, time flies. Yes absolutely like a small one month old she had come to our house and now so much grown up. how else can this be done???? that would be awesome, appreciate the effort. Yes absolutely true and agree totally with your words. These stories are eye openers in themselves and speak the truth. Thanks so much for your feedback dear friend. Thanks dear Rue. These stories are eye openers in themselves and speak the truth. Thanks so much dear Barbara. Profound and beautiful story Kamal. Something I have become more aware of in the last number of years…less possessions, more interesting conversations and experiences. Great to hear that and that is what we all need to do and let our mother earth nourish all of us. Because of our wants and desires we have depleted her and ourselves too. We are not taking anything with us everything is temporary then why this mad rush. Thanks for your lovely feedback. Thanks so much and yes will surely do so. Have a great day dear friend. Next Next post: Professionals who get away with saying factual words…..